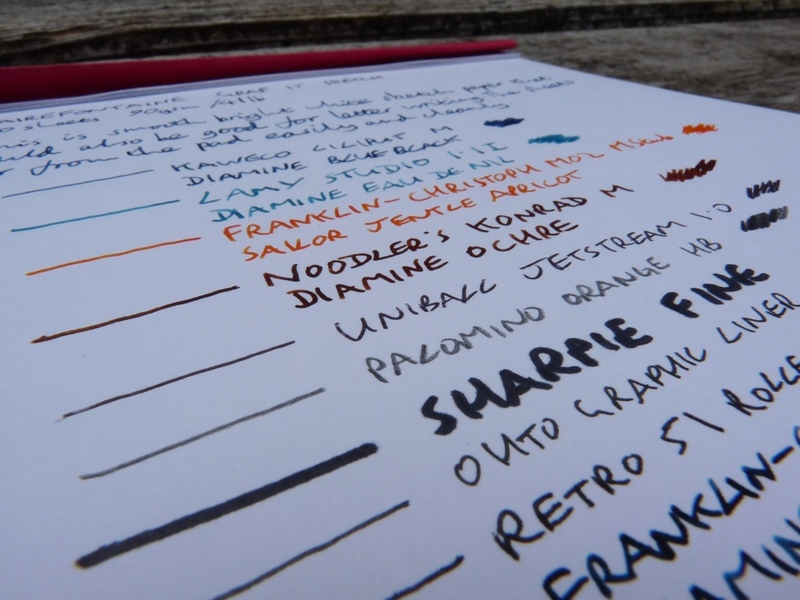 Clairefontaine GraF it 90g sketchbook review – Pens! Paper! Pencils! 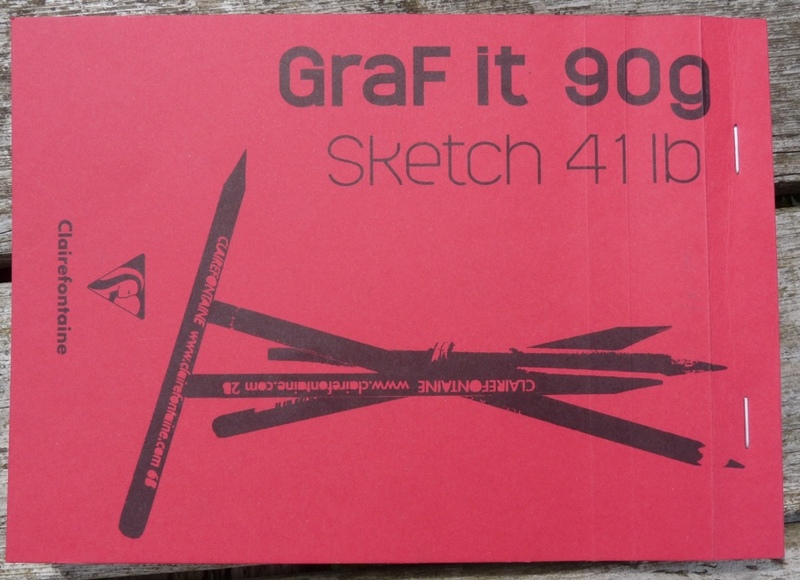 The Clairefontaine GraF it 90g is an A5 sketchbook that can also be used as good quality letter writing paper. 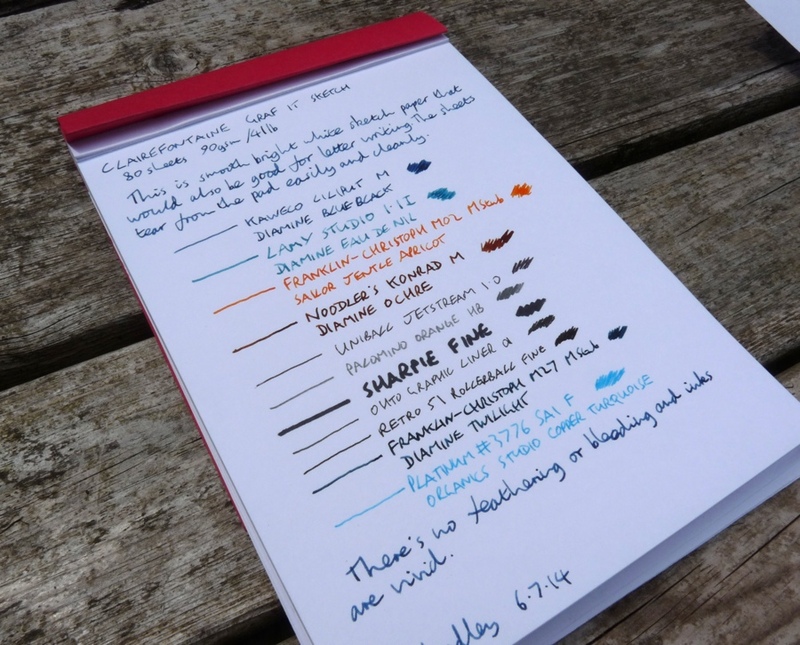 It’s available in other sizes (A4, A6 and A7) and also with a dot grid. There are 80 sheets in each pad. I’m not a fan of the name. It’s silly. Is it trying to appeal to young people? I am an old person so I wouldn’t know. The paper is excellent. Nice and smooth but just enough of a texture to pick up pencil and help pencil shading. It also takes drawing ink well. 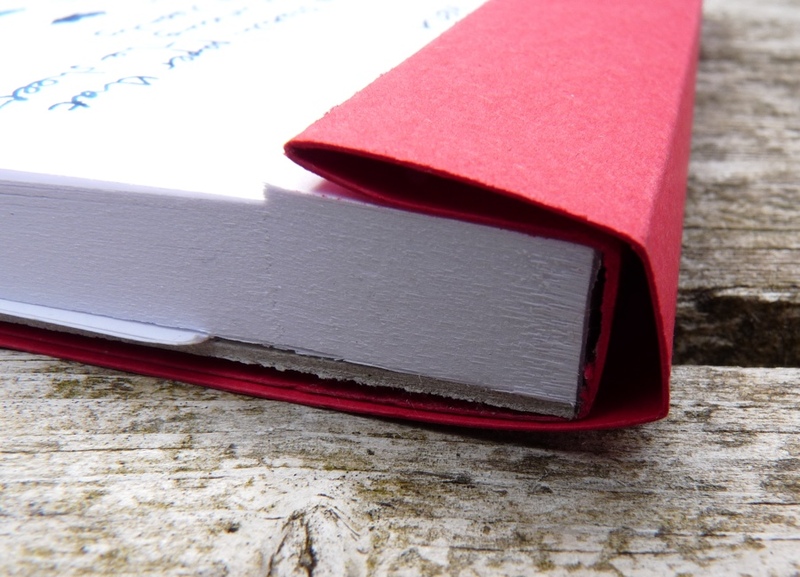 The name gives a clue to the thickness: 90gsm or 41lbs. It’s a good bright white and tears easily from the pad. Last Friday’s sketch of the Matina was drawn on this paper. 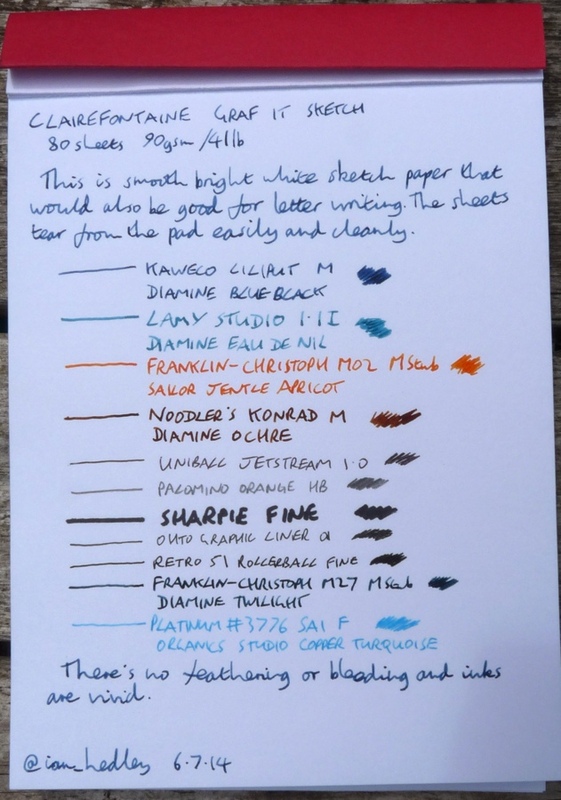 Fountain pen ink looks great on this paper and there was no feathering or bleeding with any of the inks I tested. Only the Sharpie showed through. 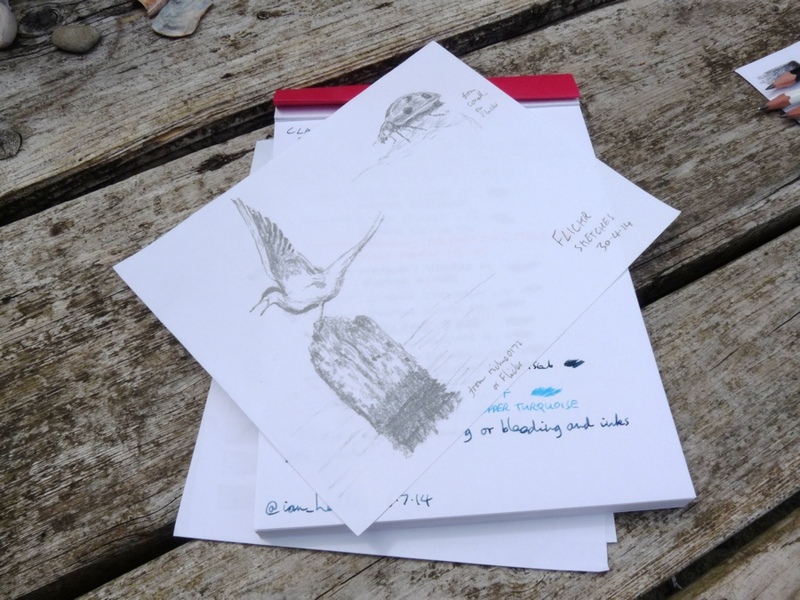 I’m enjoying using this paper for sketching on and I like to write the occasional letter on it too. I bought this in a Parisian stationery shop which gives me a certain amount of bragging rights but it is actually available are various places online for not a lot of money. It’s well worth checking out. About the name: Claire Fontaine is a French brand in French you’d pronounce this as graphite (so “gra fiet” and not graphite like in English). Could,you compare it to Rhodia? Hi Rafael. It’s the same good quality and bright white but otherwise quite different. It’s much thicker and has a slight texture to it. Thanks for the review. I hope Clairefontaine uses the dot grid in their regular notebooks.